By now, you’ve probably heard about the stunning losses and subsequent closing of LJM’s Preservation and Growth Mutual Fund, LJMIX, following the volatility spike in early February which saw the VIX go from 17 to 37, its largest one-day percentage spike ever. In the span of 48 hours in and around that spike, LJMIX had lost 82% of its more than $700 million in investor assets, failing to strike a NAV for several days as the manager, clearing firms, the exchange, and regulators tried to sift through the trades. It was the investment manager equivalent of a suicide, overdosing on the tempting drug of an investing free lunch. Morningstar called it a “failure on their risk management process” even going so far as to say “perseveration was in the name of the fund, which investors couldn’t rely on,“ but that sort of begs the question – how did the risk process fail? Was there a risk management process? And just how much exposure was there to cause losses much greater than others with similar trading styles? Besides Pearl Capital, who benefitted nicely from the spike – most of the volatility traders we track lost money that day (past performance is not necessarily indicative of future results). But losing -10% to -30% on $20 million is quite different than losing -80% on close to a billion. So how did they do it? And what can be learned from it, so investors may not be lured into similar products without knowing what they’re getting into, and so managers may better understand the risks they are taking on? They followed that up with another -43% drop in July/August 2011, showing a distinct dislike for volatility spikes. Statistically, this can be seen in their skewness reading of -2.88 and kurtosis reading of 17.30! Those are fancy stats for showing that the returns of LJM’s Aggressive program tended to have more negative outliers than what would be expected from their monthly returns AND that those outliers were much larger than would be expected. High Kurtosis and Negative Skew are the defining characteristics of option selling programs, which tend to trade the risk of infrequent but large losses for frequent but small gains. As the old saying, goes, it’s like picking up pennies in front of a freight train. 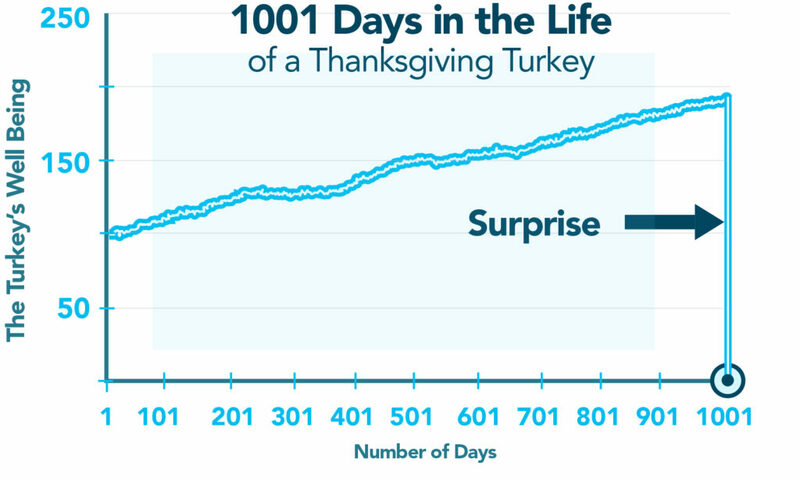 This is best shown by a clever analogy by Nassim Taleb, where he charts the 1001 days in the life of a Thanksgiving Day Turkey that sees 1000 days of small “gains” followed by one day of large losses as he’s served up for the feast. That Turkey chart sure looks a lot like the chart of the inverse VIX ETF, XIV, which shared a similar fate to that of the Turkey. 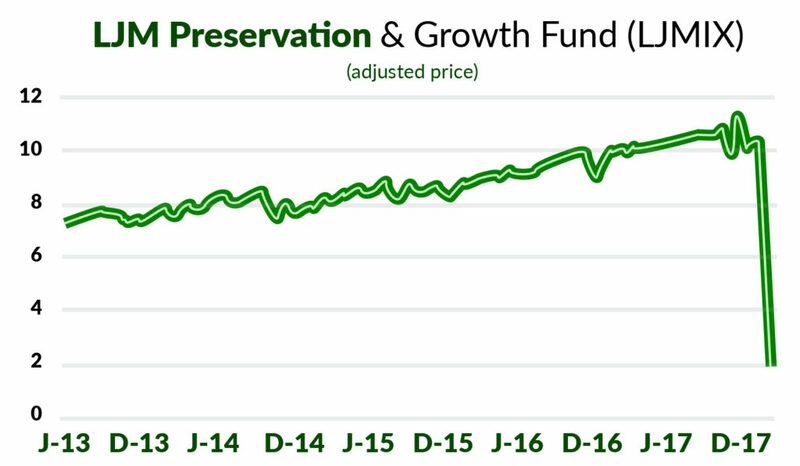 Which sure looks a lot like the chart of LJM’s Preservation and Growth Fund price adjusted for dividend payouts. But something doesn’t quite add up when looking at these charts side by side. We can agree that they were both short volatility and on the wrong side of the volatility spike, but why, if LJMIX lost 80% and XIV lost -95%, weren’t LJM’s gains during the good times that much more? 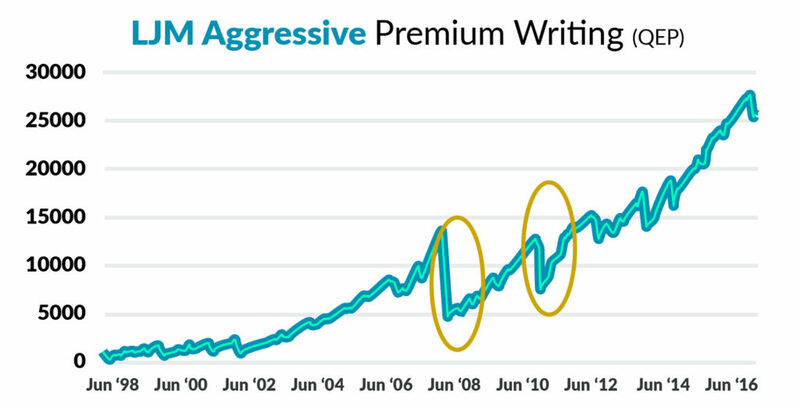 Why did they lose so much, but gain so little, comparatively speaking – to XIV? We put our internal quants from RCM-X on the case, and they dug into the numbers on the LJMIX SEC filing as of Jan 31, 2018 (about a week before things went south) to see just what the risk profile of this thing looked like coming into February. We found the notional (index price times number of contracts) value of Short Put position (long the market) stood about $47 Billion coming into Feb. Nothing to shake a stick at, to be sure, but not quite as bad as you might think when looked at through some different lenses. One, they did have other positions on, including short calls (short the market) and long puts (short the market), making the net notional exposure only $31 Billion. But that number assumes the stock market goes to zero. That’s how much the fund would have lost if the S&Ps printed a 0.00. Risk departments instead look at delta adjusted numbers. Delta-adjusted exposure takes into account how far options are away from the market, by adjusting the exposure by each options “delta,” which is a factor explaining how much an option price will move when the underlying price moves. For options way out of the money, the deltas are very small, as it would take very big moves, perhaps in succession, for the market to get close to those strikes. And the delta-adjusted numbers tell a different story, explaining a bit just how LJM built up such a large position. The delta adjusted gross notional was only $4 Billion, while the delta-adjusted NET notional was only $282 million. So, you have a headline number that the fund was leveraged about 60 to 1 short the market (6,000% of the fund at risk), but a risk number they were likely using internally showing them only having about 35% of the fund at risk. And there’s the answer for why LJMIX made so much less money than purely being short volatility as the XIV was. They were, in theory, taking on less risk than a pure short volatility trade with their short volatility trade not “at the market,” but instead far away from the market. They were using the distance from the market, it appears, as their chief risk control mechanism. In option Greek speak, they had a small delta, like 0.10 or so, maybe, while the inverse VIX products had a delta more like 1.00 (where would lose money instantly on any sort of down move in stocks, no matter the size of it. The trade-off, on that, of course, is that the premium they can collect for those far out of the money options is much less (by a factor of about 10 per the return numbers). So if the deltas were so small, how did they get hit so badly? Simply, the deltas got bigger…. Waaaaay bigger. That’s because LJM wasn’t just short the market – they were also short two heavily interrelated themes: a. the time it would take for the market to fall, essentially betting that if it did fall – it would fall somewhat orderly, and b. they were short the veracity of the fall, essentially betting there wouldn’t be a panic where people perceived a down move as the beginning of the end for the stock market. In the parlance of option greeks, they were short vega and gamma as well as delta (vega being the measure of how sensitive the option price is to a rise in volatility, and gamma being the measure of how sensitive the delta is to price movement). They were short movement and time while being long direction, on an increasing scale – meaning as the market moved down, they became more long direction in a very non-linear fashion. While we’re used to seeing volatility rise as the market falls, this doesn’t always have to be the case, and in this instance we saw volatility move much more than might be expected from the price drop – especially in the out of the money options that LJM was short, making this a bit of an unusual volatility event. Here, positions that were still far out of the money and did not experience drastic changes in their delta and gamma profiles still saw dramatic spikes in price due to the outsized effect volatility can have on options pricing (due to their vega). For example, one short option saw its price go from $0.05 to more than $15 – a staggering move. But a move that wasn’t based on delta alone. The delta only explained a few dollars of that move at most – with the rest all being vega, or the volatility. In weather parlance – it’s not the heat (market drop) that will kill you, it’s the humidity (the volatility). This can be seen in the huge move in the delta adjusted net notional exposure (which again, is just using the positions reported to the SEC as of 1/31- we don’t know what trades happened in between then and 2/5). And that margin part is the key here because the ironic part in all of this is that a lot of their positions didn’t go into the money. They were sufficiently outside of the range the market moved, where a bounce back up or markets stabilizing at the levels they did would not result in realized losses (at expiration) for those positions. BUT, and that’s a very big BUT. Nobody cares if the market goes through the strikes as it is hurtling down towards them. It is the hurtling part that causes panic amongst those on the hook for the Billions in net exposure, the firms responsible for posting margin to the exchange and guaranteeing any losses from their clients to the exchange. We’re talking about the banks and brokers clearing the fund’s business. That’s how the whole system works – and why $700 million in losses for this fund didn’t cause those on the other side of the trade to miss out on that money because their counter-party went bust. There’s no counterparty risk, per se, in the futures and futures options markets – with the exchange guaranteeing the counterparty via the posting of margin (and their own guarantee fund). But those FCMs don’t want to be on the hook for the loss, either. 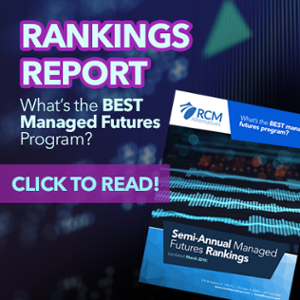 So they protect themselves with margin requirements, margin calls for more money, and in extreme cases like February 5th, risk calls – where their risk teams believe the risk is getting beyond what the account can handle and more money must be deposited. Or, if no money can be deposited, requiring funds put on hedging trades or liquidate positions. It’s that forced liquidation which cemented the losses in place, likely causing even bigger losses as other traders realized what was happening and made it more expensive for them to cover positions and their own exiting trades pushed prices more and more against them. As is often the case, it was the forced liquidation due to margin calls which took away the funds’ ability to only lose a leg as the freight train bore down on them, instead of their whole body/life. All of this to say – trading the VIX and volatility is uber-difficult. It’s an ever-changing three-dimensional chess board of direction, time, and perceived future movement (with flying sharks shooting lighting down at the players before they eat them). There’s those who are nakedly short VIX (R.I.P. 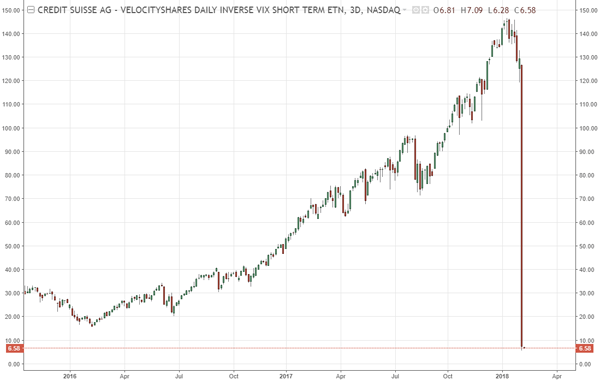 XIV), those short it at increasing levels as it rises (R.I.P. LJM Preservation and Growth Fund), and those who are long it one way or another (R.I.P. their bank accounts the past 5 years). What you really need is some sort of hedged trade where the spikes become not something to be feared, but something that can cause outlier gains. For more on how this whole space operates and the emerging manager we’ve seen best navigate it (up 20.47% so far this year), download our “Investing in VIX and Volatility Whitepaper” or register for our upcoming “Investment Seminar in VIX and Volatility” to hear from three managers with volatility based strategies.